Among the younger 2020 candidates, Ohio swing voters think Donald Trump should be most concerned if Beto O'Rourke is the Democratic nominee — but they're not sure he can beat him. Between the lines: This was another takeaway from the Engagious/FPG focus group I watched last week. Participants were shown 2-minute video clips from O'Rourke, Julián Castro, Tulsi Gabbard, and Pete Buttigieg and asked to score them based on who Trump should be most concerned about heading into his re-election. Although these voters — who have flipped between parties in past presidential elections — ranked Beto as the biggest threat among the four candidates, they only scored him a 5.7 out of 10. Castro and Buttigieg tied at 3.8 and Gabbard came in at 2.1. In the latest Morning Consult poll, Beto ranked higher than these other candidates, too. Why it matters: That's still not great for Democrats. Their reactions to the candidates, including Beto, show the personality traits these candidates need to shed to win over some swing voters in Ohio. What they're saying: After watching Beto's announcement video, participants described him as "overdramatic," someone who is trying to "offer too much," and a candidate who just tells you "what you want to hear." Others described him as "unrealistic" and "boring." After watching videos for these four candidates, the voters were asked to rate, on a scale from zero to 10, whether they think the Democratic Party's future is dim (zero) or bright (10). The average score was just over 7, suggesting these swing voters think younger candidates like Beto are going to carry the party in a positive direction. Many 2020 candidates have been flirting with the idea of expanding the Supreme Court, while others have fully rejected the idea. Backdrop: The Constitution allows Congress to change the number of justices that sit on the court. Historically, the number has flexed 7 times. In recent years, Democrats have had little success to push their picks through: Republicans blocked President Obama's nomination of Merrick Garland following the death of Justice Antonin Scalia, and pushed Justice Brett Kavanaugh's controversial nomination through. Pete Buttigieg: The Indiana mayor was one of the first candidates to talk about court packing last month in Philadelphia. Buttigieg told The Intercept he would work on restructuring the Supreme Court, expanding it to 15 justices. Five would be selected by the Court through an unanimous vote, and Buttigieg said that would help "de-politicize" the Court. Sen. Kirsten Gillibrand (D-N.Y.): Gillibrand told Politico she is open to the idea of court packing. She also said Justice Neil Gorsuch holds an illegitimate seat that should've been Garland's, Politico reports. Sen. Kamala Harris (D-Cali. ): Harris said: "We are on the verge of a crisis of confidence in the Supreme Court. We have to take this challenge head on, and everything is on the table to do that," per Politico. She said she is open to the idea of court packing. Sen. Elizabeth Warren (D-Mass. ): Warren said the focus on the Supreme Court should be to reform it and depoliticize it, reports Politico. She is open to expanding the Supreme Court. Former Rep. Beto O'Rourke (D-Tex. 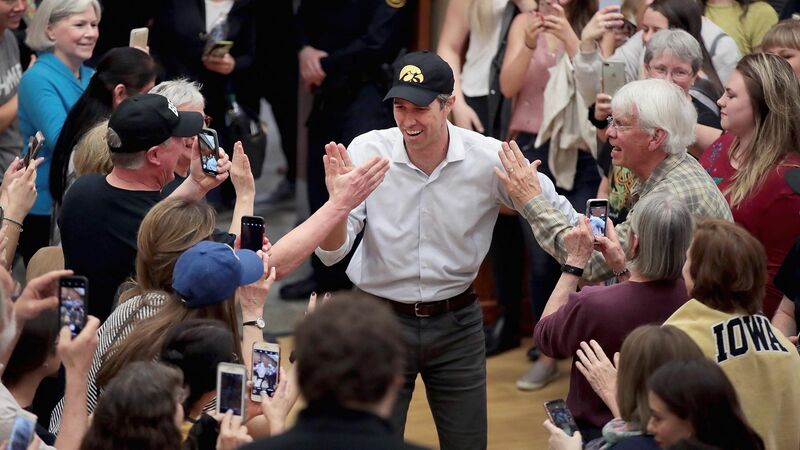 ): At a rally in Iowa, O'Rourke said court packing is an idea that should be explored. He also proposed increasing the number of seats by 5 to 10. O'Rourke proposed Republicans and Democrats select 5 justices each and the last 5 be selected independently by the justices. Gov. Jay Inslee (D-Wash.): The governor is also open to court packing. He told the Washington Post: "We must be thoughtful and considerate about any changes to the Supreme Court, but we also need to restore Americans’ faith in the court and restore the balance that [Mitch] McConnell broke." Andrew Yang: The entrepreneur said expanding the Supreme Court "isn't something that should be ruled out," per the Washington Post. On his website, Yang is more focused on limiting how long justices can serve, proposing an 18-year limit. Wayne Messam: The Democratic Florida mayor is open to increasing the number of Supreme Court justices, but also said: "Make no mistake, the court is already packed," reports the Washington Post. President Trump: He said he "wouldn't entertain" the idea of court packing, reports Reuters. Trump said Democrats have only proposed the idea because "they want to try to catch up." Sen. Bernie Sanders (I-Vt.): Sanders is against court packing, but believes in imposing term limits, reports Reuters. He said "My worry is that the next time the Republicans are in power they will do the same thing." Julian Castro: He told the Washington Post he is open to reforming the Supreme Court, but not adding more justices. Former Rep. John Delaney (D-Md. ): Delaney opposes court packing, and has even warned Democrats about the idea, suggesting it would lead to "partisan warfare" Instead, he supports reforms and term limits. John Hickenlooper: The former governor of Colorado is against court packing because he is "concerned by the precedent this could set," reports the Washington Post. Marianne Williamson: Williamson told WaPo she doesn't support this idea. Sen. Cory Booker (D-N.J.): Booker hasn't said if he supports court packing, but advocates for limiting terms. Rep. Tulsi Gabbard (D-HI): Gabbard hasn't made mention of court packing or reforming the Supreme Court. Sen. Amy Klobuchar (D-Minn.): While Klobuchar hasn't mentioned court packing, she told CBS she is more focused on placing qualified judges in higher courts.